Creative Moving and Packing specializes in quality moving services. We handle every piece with care and precision. From Phoenix, AZ to Scottsdale, AZ and the surrounding areas no job is too big or too small for us. Creative will pack for you! We understand how overwhelming packing can can get, so let the professional movers do it for you. We label all boxes for identification to assist the moving and unpacking process. Boxes, tape and other packing materials are supplied by us on-site. Let the professional packers handle all the packing. This will ensure all of your precious belongs are carefully and properly packed away. 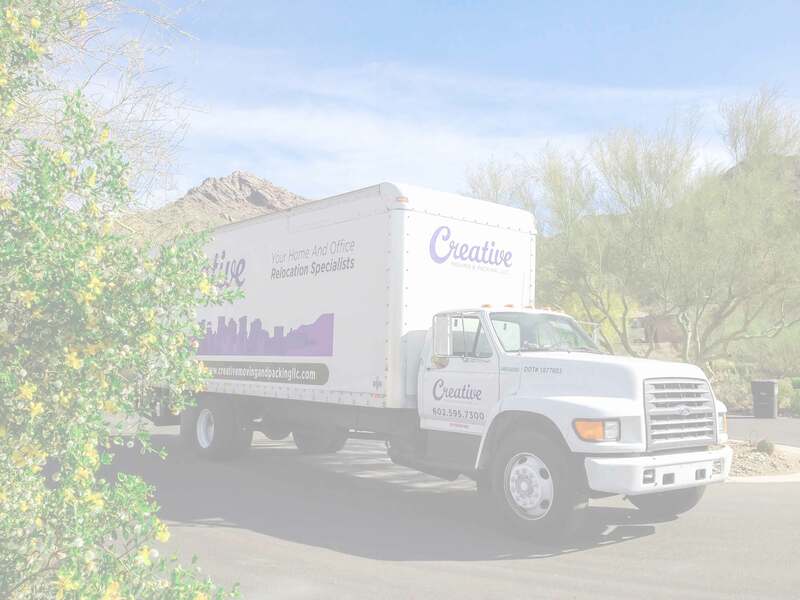 Creative Moving & Packing is fully insured for your move in the Phoenix, Scottsdale, or surrounding Arizona areas. We always carry $750,000 of truck coverage as well as $50,000 dollars for items carried in the cargo hold. nnOur professional moving team is trained and experienced. We make sure your belongings are carefully wrapped in furniture pads and stacked accordingly when loaded in the truck and stacked in storage. We take pride in providing excellent customer service and a superior moving service. You can count on us, to move, pack, and deliver your items with care and a smile. Logistics and supply chain services are customized to your specific requirements, operating philosophy and business strategies.nnCreative Moving and Packing specializes in quality moving and logistic services. We handle every piece with care and precision. From Phoenix, AZ to Scottsdale, AZ and the surrounding areas no job is too big or too small for us. Get Creative Call us today and get a quote for you next move!